"Formed in 1969, Electronic Music Studios (EMS) quickly became innovators for the recording, production and advancement of electronic music. The ideas and designs that bubbled forth out of the ingenuitive minds of Peter Zinovieff, Tristram Cary, David Cockerell and others, led to the creation of some of the most wildly original musical / sound design equipment ever conceived. The VCS3, Synthi A + AKS, Synthi 100, Synthi E, Synthi Logik and the Soundbeam are among these, almost unworldly, devices. EMS were true pioneers from the very beginning, always looking beyond the culture and times they were surrounded and seemingly trapped in. Still around today, thanks to Robin Wood and Ludwig Rehberg, they are one of the few companies involved with electronic instrument production that have had a continued run since their inception. The Synthi Group have honed the original pioneering spirit and DIY ethic of EMS with their Volume series, a collection of sounds encompassing beautiful dreamscapes, synaesthetic visions, dark ambience, aural abstractions, sonic absurdities, pulsating analog, glitch, ring modulators, and envelope shapers generating trapezoidal geometry. 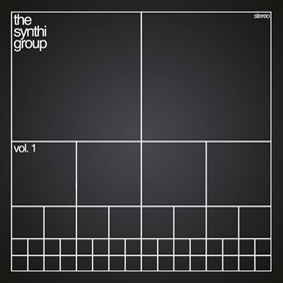 Beginning with Volume 1, the Synthi Group compilations aim to ensure the story of EMS continues well into the future of electronic music production."